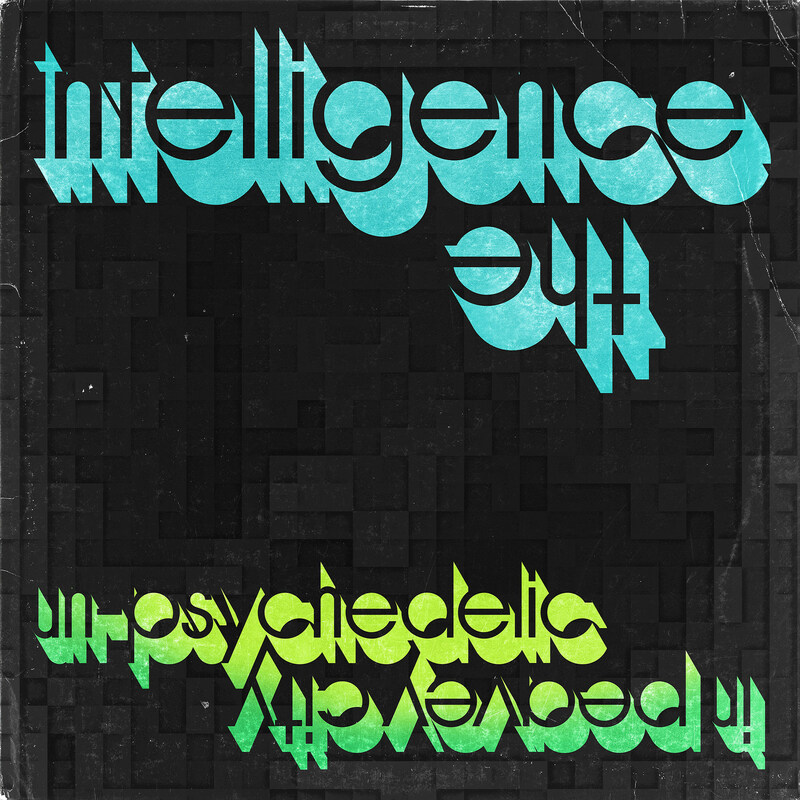 The Intelligence will release new album, Un-Psychedelic In Peavy City, on May 24. It’s their 10th album, first in four years and, after years on In the Red, the first for main brain Lars Finberg’s new label, Vapid Moonlighting Inc. “I put out our first 7 inch in 1999 and immediately thought I will not do this again for at least 20 years,” jokes Lars. “But seriously, I have more mentally billable hours in the day now and I’m interested to learn how it all works and I did a fun calculation: Two $6.00 glasses of wine per day times 365 days a year is $4,380 which is just enough to manufacture 1000 records. If these records sell like hot cakes I’ll release a double sided splatter etching of whoever tweets at me the loudest. If I have 900 in my garage next summer I will scream.” Preorder yours. That calculation also leads to the album’s lead track and first single, “L’appel du Vide,” which finds Lars off the sauce but still his sardonic self. “I’ve been dry for nine months, so I’ve been bored for nine months,” he cracks in the song, but then follows up, almost like he’s running back to the mic to add, “Also ain’t felt awful in nine months!” The Intelligence’s brand of catchy, noisy, warped surf remains undiluted. “I developed these bad existential psychedelic hangovers that were giving me panic or anxiety attacks, especially while driving, that were really awful, trying to analyze what exactly keeps me from crashing this van or unbuckling my seatbelt and voluntarily rolling out the door onto the speeding highway,” Lars tells us of the song. “I quit drinking and they seem to have gone away, touch wood. I was thrilled when I found there is a French term for this: ‘L’appel du Vide’ or ‘Call of the Void.’ I decided to try to take a month off alcohol and I liked it so I just kept going. In a lot of ways life got much sunnier and much easier, and I am much happier, but it’s not perfect so I’m bitching/joking about the extremely minimal things I don’t like about it. 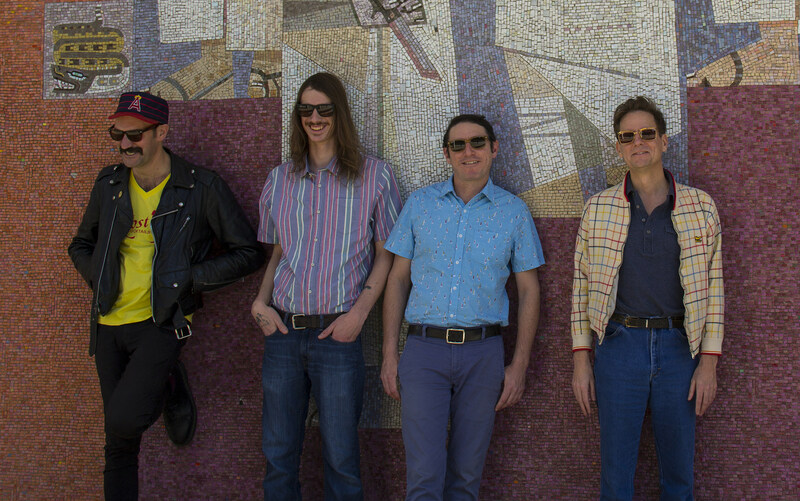 But it’s supposed to be fun and funny and a celebration and I hope the animals party to it.” The song premieres in this post — listen below. The new lineup of The Intelligence — Lars with Drew Church (bass), Dave Hernandez (guitar), and Kaanan Tupper (drums) — will be touring Europe in June, details TBA. In other news, Rubber Blanket, a group Lars is in with Wounded Lion’s Brad Eberhard and Jun Ohnuki, have a new 7″ out now.